As we end off a month of breast cancer awareness, we prepare to raise awareness for men’s health- specifically prostate cancer and testicular cancer. The event ‘Movember’ originates from the mash up of the two words ‘moustache’ and ‘November’- and is annually celebrated to raise awareness of men’s health issues, such as prostate cancer and other cancers and charities. During the month of November the male participants (Mo Bros) commit to growing their moustaches for 30 Days to create a conversation around men’s health in order to bring about change in this topic. 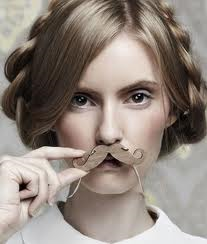 Ladies are encouraged to become “Mo Sistas” who encourage the men in their lives who mare growing a moustache in November and you can also create or join teams to host parties for awareness and raise funds. Sign up at movember.com and become a Mo Bro- start with a clean shaven face on the 1st of November. Grow and groom a moustache for the entire month of November. No beards. No goatees. No fake moustaches. The legitimate Movember Foundation event happens on movember.com. You can find the South African division at movember.com, where you can register to grow a moustache and be a Mo Bro and ladies can register to become a Mo Sister or participate by making a donation. Growing the moustache is the Mo Bro’s way of wearing a ribbon- it’s their way of generating conversations, awareness and raising funds for men’s health.